You don’t need a home as big as the Imola circuit to drive a race car at home. 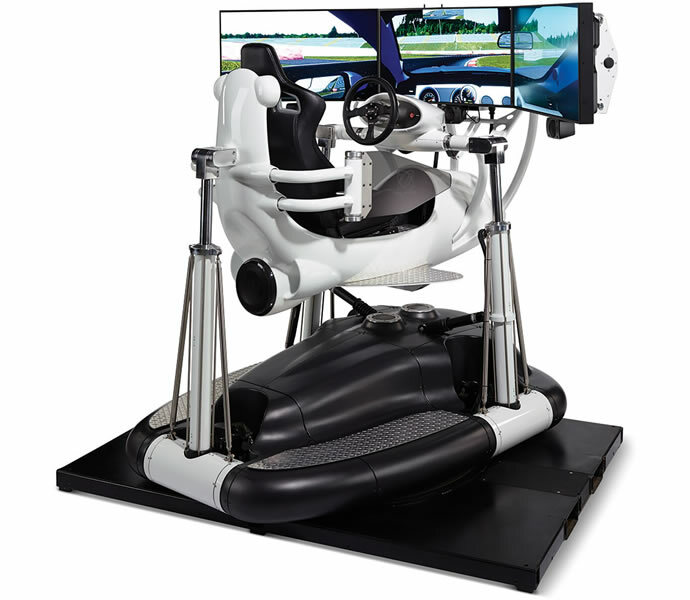 What you really need instead is the Hammacher-Schlemmer racing simulator! 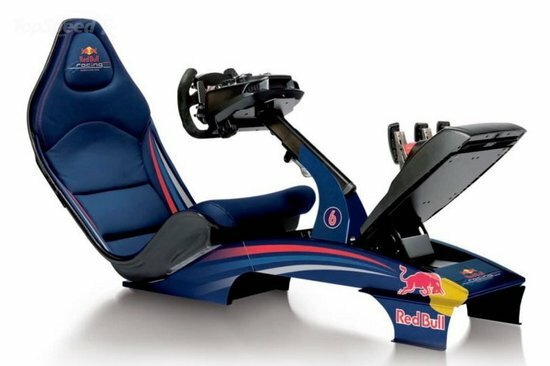 Hailed as the world’s most realistic racing simulator, this geek-dream was also selected by the Ford Motor Company in order to demonstrate ride experiences. 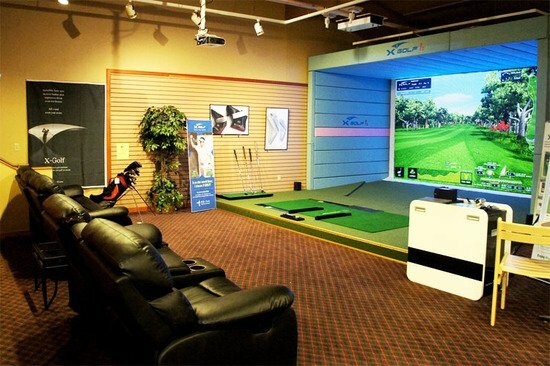 What makes this simulator so much better than your large-screen television hooked up to a racing wheel and a gaming console? 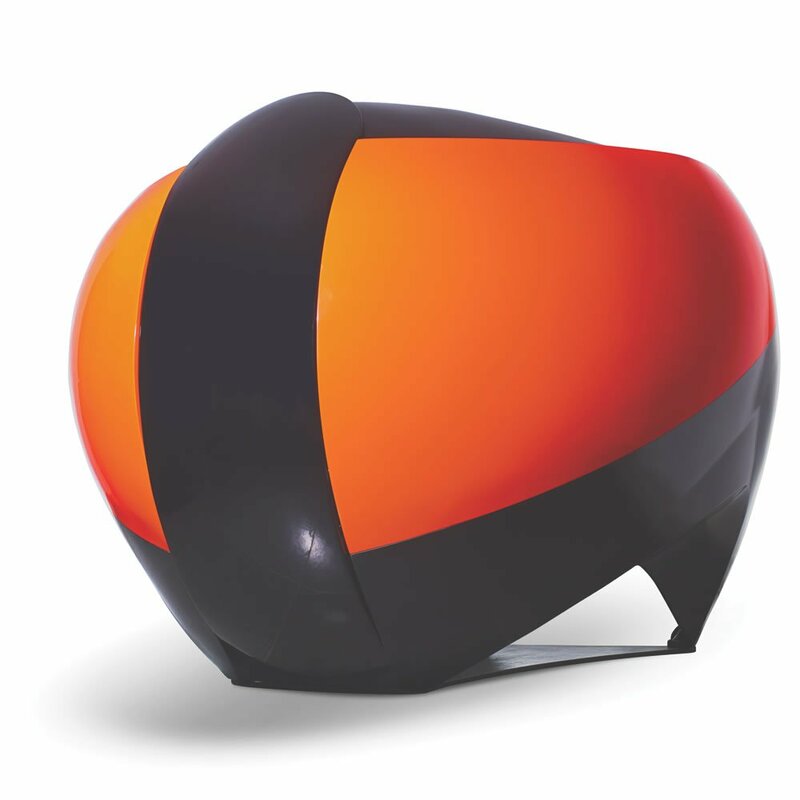 For starters, the simulator comes with linear servo actuators, enabling its suspended, monocoque fibreglass chassis to roll, pitch, and also rotate 360°. 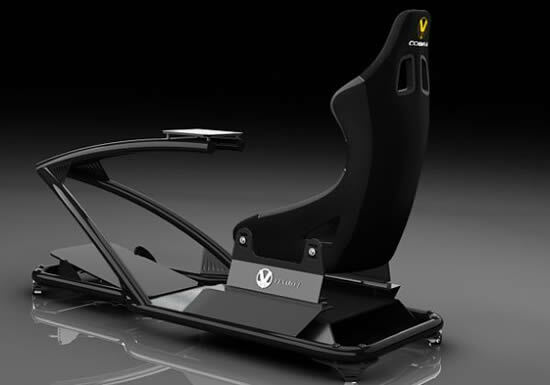 Simply put, all of this allows users to actually experience the thrill of entering corners at 200mph! 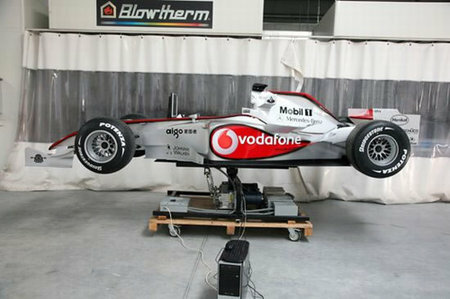 The simulator is as realistic as it gets, with the front of the chassis dipping while breaking and pushing forward when the accelerator is tapped. 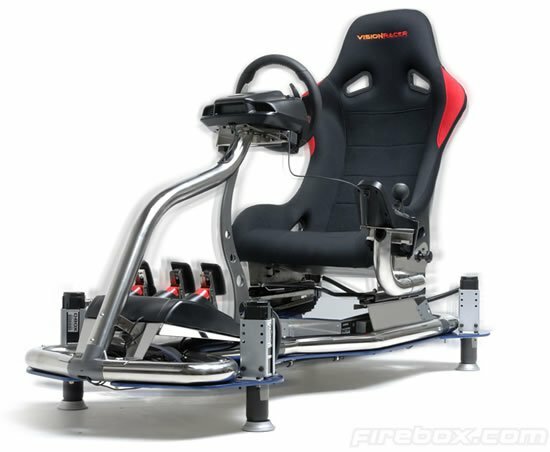 Capable of supporting a user weight of 300lbs, the simulator uses an actual racing seat, a seatbelt for safety, two paddle gear shifters, a steering wheel, accelerator, brake, and of course, a clutch. 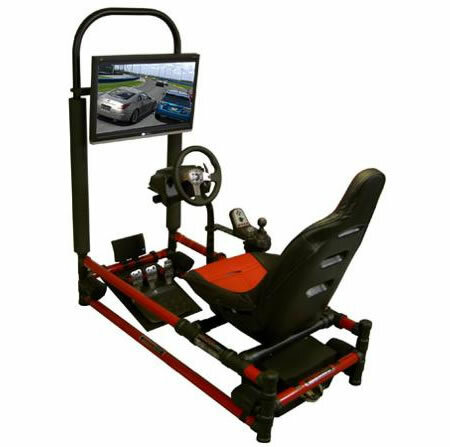 Users can chose from 12 race cars on this simulator, including stock cars, GT, F1 and F3 race cars. 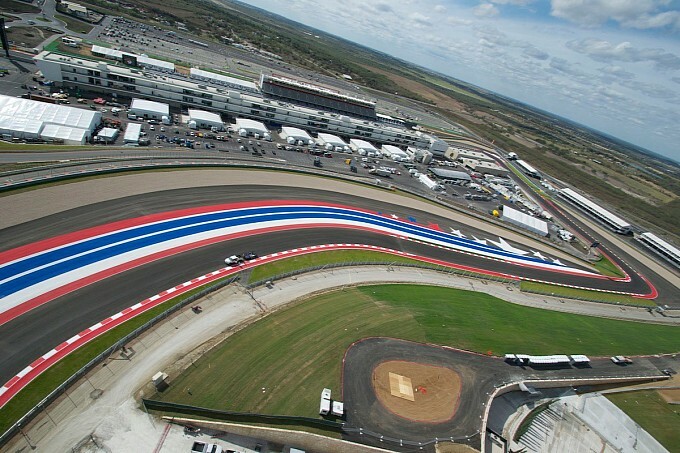 Apart from this, the simulator also includes a number of road-courses as well as tracks like the Joesville Speedway and the Nuerburg, all of which is displayed on a 108″-wide, triple HD monitor display, hooked up to a 500-watt audio system. All of this comes for a price of $185,000, just about enough to buy more than a couple of real cars. 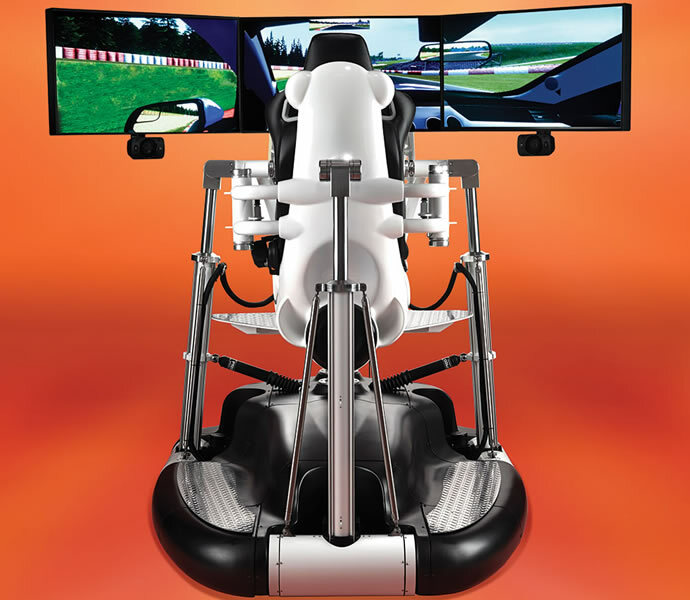 Multidrive RS Simulator…drive for fun!